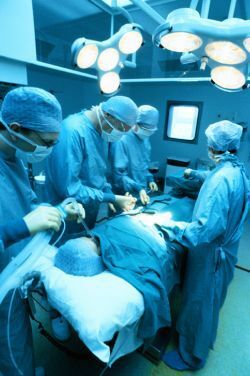 Fentanyl is a pain medication frequently used after surgery. Fentanyl is an opioid analgesic, a pain medication similar to Morphine but approximately 100 times stronger. It is a controlled substance and requires a prescription from your doctor. Fentanyl is also commonly known as Fentanyl Citrate, Sublimaze, Actiq, Duragesic, Fentora and Matrifen. Fentanyl is available in a variety of forms. In the hospital, Fentanyl is most commonly given as an IV injection or an IV drip. The drug can also be given with a PCA (Patient Controlled Analgesia) pump, where the patient presses a button to have a small dose of pain medication delivered through their IV. For patients taking Fentanyl at home, a transdermal patch can be worn, which delivers the medication through the skin. For patients with cancer, Actiq, a “lollipop” is available to provide medication orally. A buccal pill, a medication that dissolves in the mouth between the cheek and gum, is also available. The administration of Fentanyl is selected based on the patient's needs and concerns about safety. For example, if a patient is worried that a child in the house might mistake the Actiq medication for candy, another delivery method would be selected. Fentanyl dosages very widely based upon the reason for the pain, the duration of usage and the tolerance the patient may have to pain medications. Fentanyl is a very potent pain medications, therefore, many patients will not qualify for the Fentanyl patch or Actiq lollipops as they only appropriate for patients with a tolerance for Fentanyl or other opioid pain medications. Fentanyl, like many opioid medications, can cause respiratory depression. This means the drive to breathe can be seriously diminished. This effect can last longer than the pain relief effects, making it essential to be aware of any breathing issues prior to taking an additional dose. Fentanyl should not be taken with other pain medications without your physician’s knowledge, and should never be taken with alcohol. There is a risk of addiction when taking Fentanyl for extended periods of time. When used properly, most patients do not experience addiction or symptoms of physical withdrawal when the drug is no longer in use. Fentanyl dosages vary widely based upon the method of delivery and the reason for the medication. Fentanyl is very potent, so initial doses are very small, for example, an adult one time IV dose may be .05 to .1 mg. However, for long term patients, such as cancer patients, doses may exceed .8 mg per day. 0.1 mg of Fentanyl is roughly equivalent to 10 mg of Morphine. Like any opioid medication, Fentanyl has the potential to be both addicting and abused. Fentanyl is very strong when compared to other opioids such as morphine, and when street drugs are laced with Fentanyl the chances of overdose are dramatically increased. Additionally, it is often blended with heroin, to increase the "high" the user experiences. This blending makes it more likely that the individual will overdose, particularly if they are not aware that the Fentanyl is present and take their usual "dose" of heroin. Like other opioids, Narcan can be given to block the and reverse the effects of an overdose of Fentanyl. Fentanyl doses are far rarer in patients who are using the medication as prescribed rather than obtaining it illegally, as the patient often uses Fentanyl for pain after years of taking medication for chronic pain. That said, regardless of how the patient overdoses, Narcan must be administered quickly and in sufficient amounts to stop the overdose from causing death. Also of great concern is the use of black market versions of Fentanyl, particularly carfentanil, which is easily mistaken for Fentanyl but is much stronger. Some use it as a substitute for heroin. Carfentanil is so strong that when Canadian authorities seized a one kilogram shipment in 2016 they estimated that there was enough of the drug to kill tens of millions of people. Actiq, the Fentanyl dosage system that is sucked on like a lollipop, is designed for use by cancer patients with significant pain. Actiq is not appropriate for everyone, only patients who have a demonstrated tolerance for opioid medications equivalent to 60 mg of morphine per day should use this method of Fentanyl delivery. Actiq is like a lollipop in appearance, yet it delivers a dose of medication that could be fatal to adults, and especially children, who are not acclimated to opioid medications. For that reason, child safety kits are available to prevent the accidental ingestion of this medication from the makers of Actiq. To obtain your Actiq child safety kit, call 1-888-534-3119 to make your request. The Duragesic Fentanyl patch is designed to deliver a specific dose of Fentanyl over the course of 3 days. When used according to directions, and removed according the instructions, the patch still contains significant amounts of Fentanyl. For this reason, it is important that patches are discarded in a place where children and pets cannot find them. The manufacturer of the patch recommends flushing used patches down the toilet. Cutting or altering the patch can cause an overdose of Fentanyl. Never use a patch that is not intact, or move a patch from one area of the body to another after application, as this may damage the integrity of the patch. Fentanyl is an extremely effective pain medication, but with strong pain medications comes real risks, particularly the risk of overdose. When taken appropriately, in the smallest dose needed for the shortest amount of time necessary, Fentanyl is safe. There is a real risk of addiction and serious or life-threatening effects when used for long periods of time.